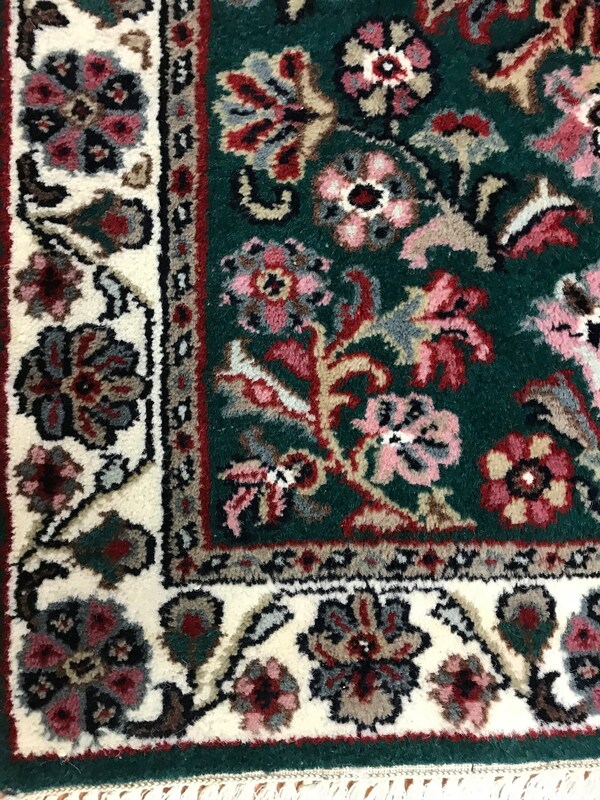 This beautiful rug is a brand new 2' x 3' Indian Kashan. 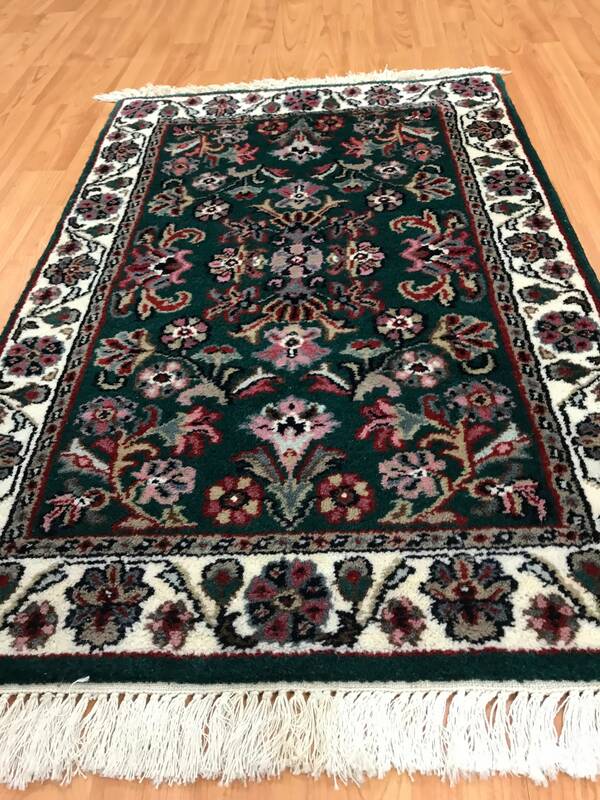 This hand knotted Indian Kashan is made with 100% wool and has a dark green background. 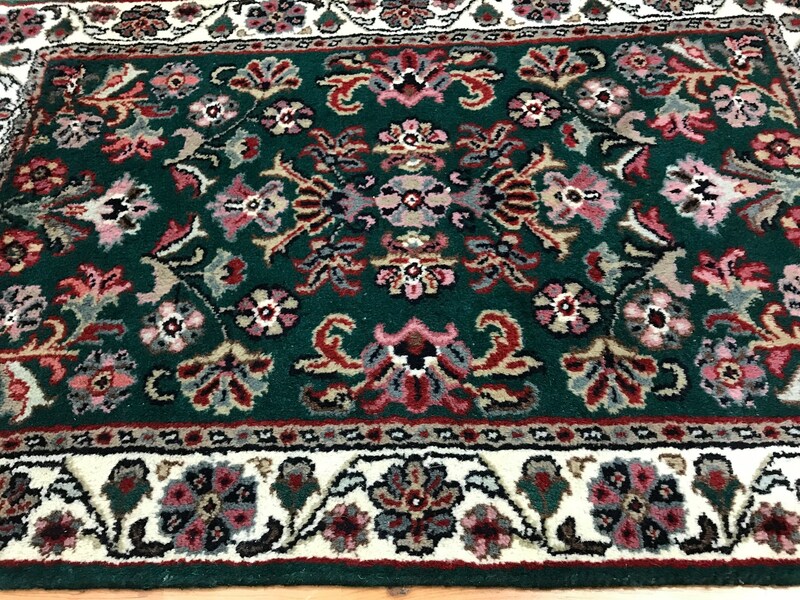 Kashan rugs are typically high-quality, many incorporating silk into their designs. 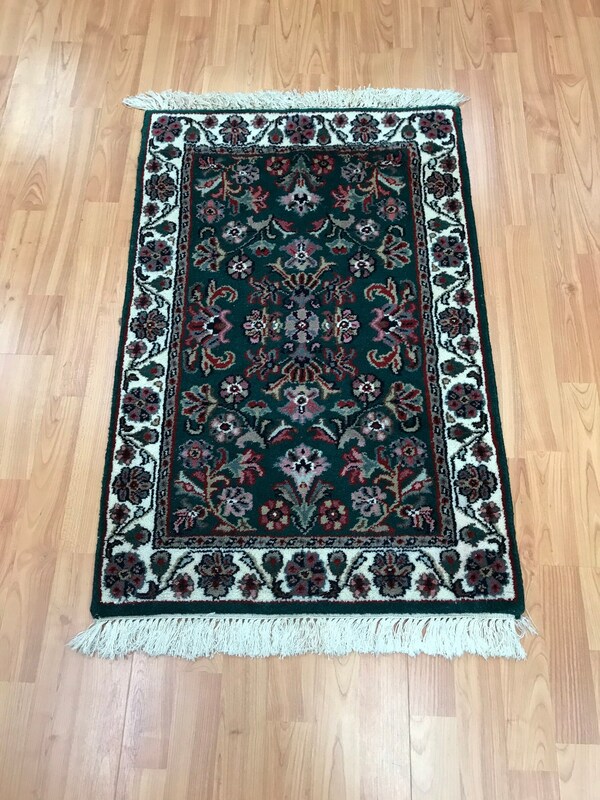 The foundation tends to be cotton however some of the finest examples may be pure silk. 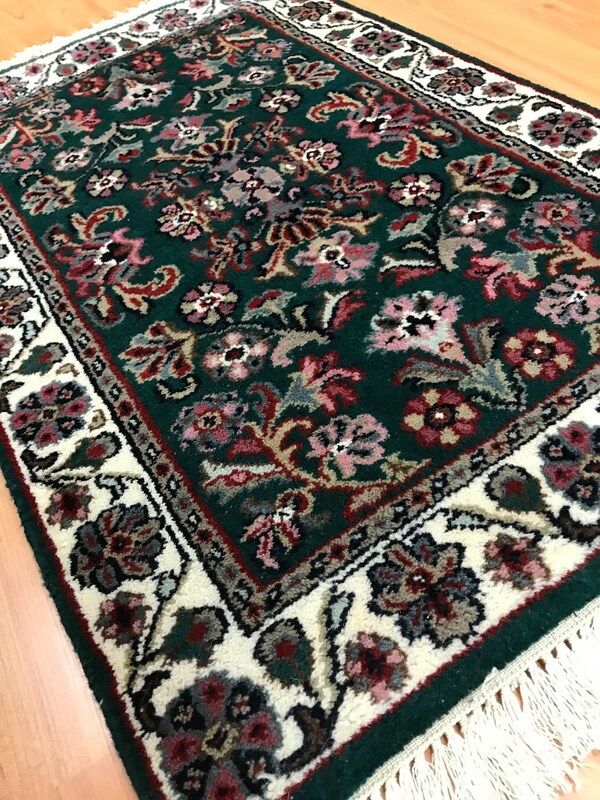 The wool should be soft and the pile tightly knotted. 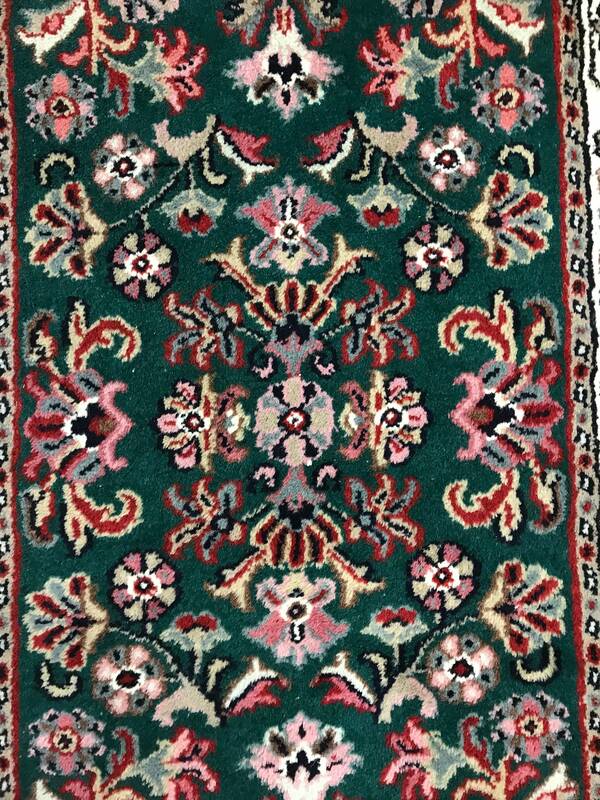 The knot count (KPSI) can range from 100 to over 800 per square inch for the most majestic (and expensive) examples. 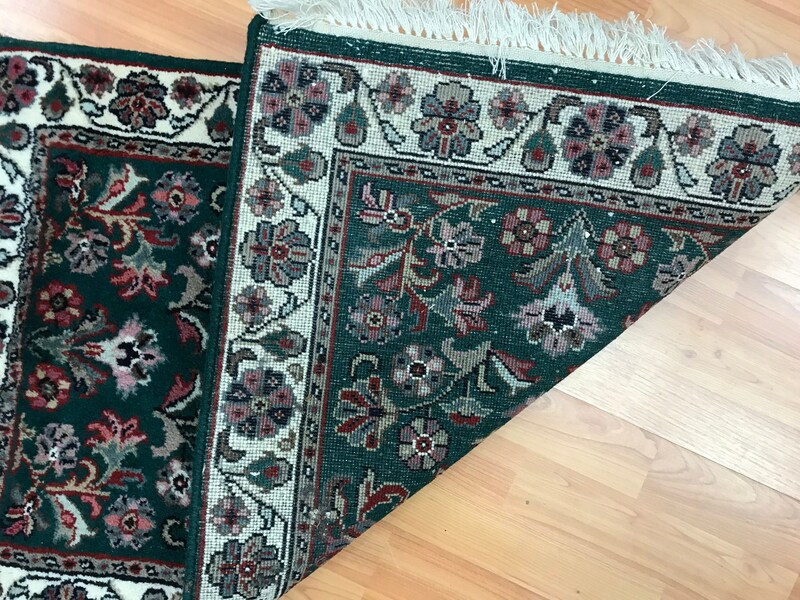 The majority of Kashan's have a similar design with a central medallion and Persian floral motifs forming the pattern, however as with most regions designs may vary. 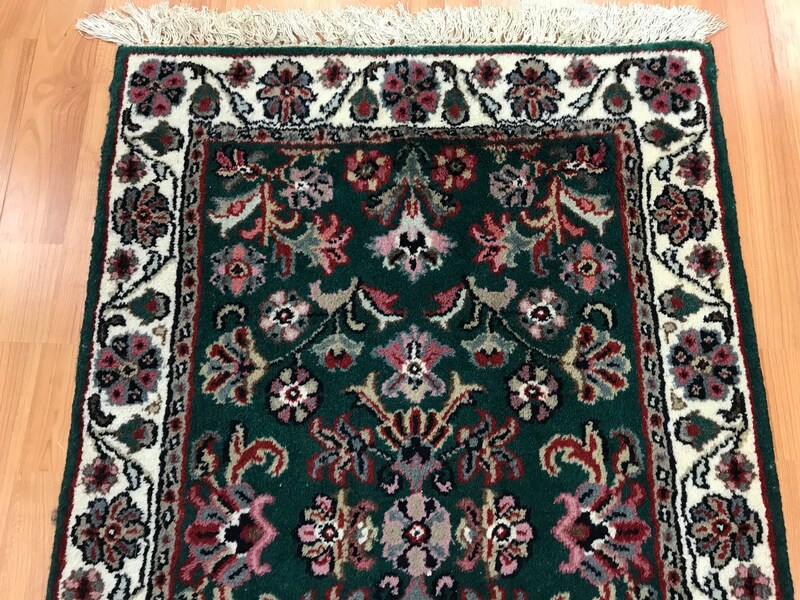 Popular colours are ivory, green and red with soft greens and blues found in newer rugs.